No Buckets, No Hoses, More Money! Simply sell our Very Best $20 Mighty Duck car wash passes to your constituents, your neighbors, your family and your friends at a 25% discount for ONLY $15 (...this helps makes it an easy sell!) You keep 50% of every sale! We told you it was easy. 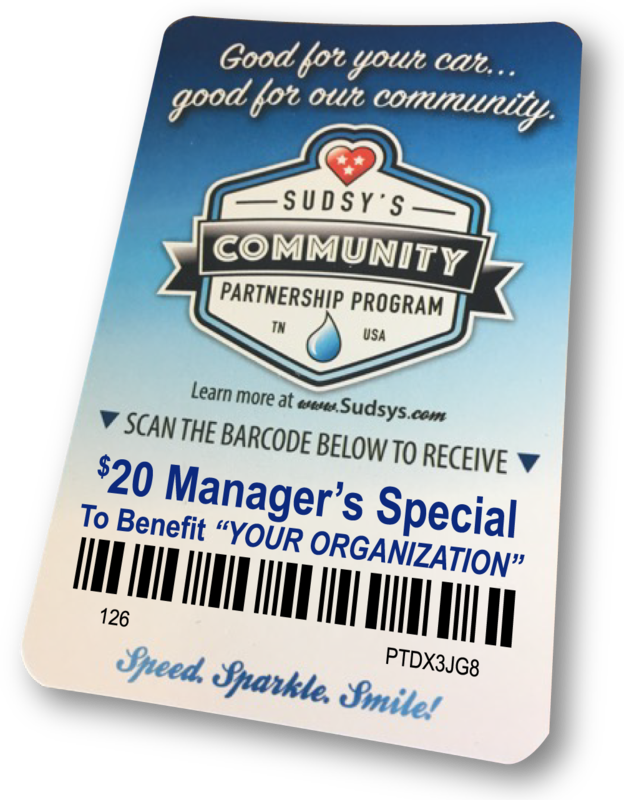 + PLUS as an added BONUS, Sudsy's will make an additional $100 donation for every 100 passes your organization sells. We reserve the right to limit this promotion to non-profit organizations and their affiliated groups. Do not plan on a starting date less than three to four weeks from submission of your application. Usually four weeks of planning is sufficient for most organizations. We recommend a thirty (30) day selling period, but you can sell for up to forty-five (45) days. By submitting this form, I attest that all information is true and accurate to the best of my ability and that I am authorized on behalf of the organization to submit this application. I understand that this is an application only and is not an agreement or commitment on behalf of Sudsy's Car Wash. I will be notified by Sudsy's within 7-10 business days regarding this application. Thank you for applying for the Sudsy's Serves Fundraising Program. Please allow 7-10 business days for a response. We will be in touch shortly. Did you know that parking lot charity car washes are terrible for the environment? There's a lot of harmful stuff that can build up on a car - phosphates, motor oil, grease, antifreeze, road grime and other hazardous substances. In a driveway or parking lot car wash all of these elements - plus any caustic soaps and chemicals - go directly into the storm drain system and directly into our streams and rivers. 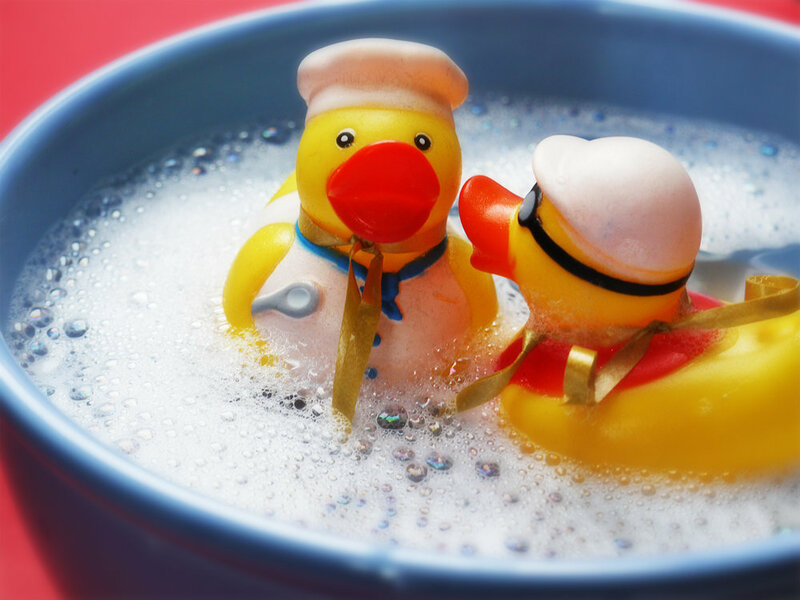 At Sudsy's, we use all eco-friendly, biodegradable cleansers; we recycle 70% of our water; and none of the contaminants go into the storm system - they are all treated. Help us keep our local waterways - the Harpeth River, Carter's Creek, the Duck River and Stone's River - clean! Does your organization have an upcoming event, golf tournament, silent auction or raffle? Contact us and allow us to customize a donation package that's right for your event. 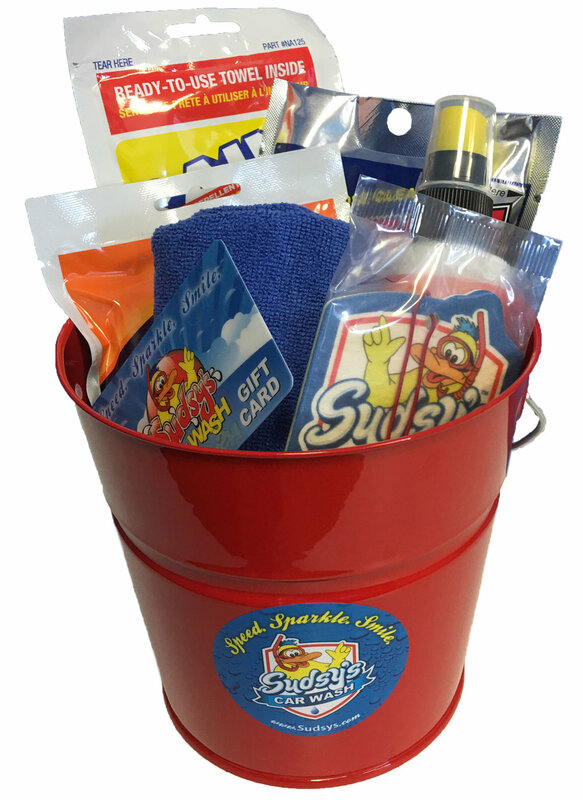 We may offer free car wash passes, gift cards, swag, and/or Sudsy's gift basket(s). We'd love to help. Include details like: How many people you anticipate will attend? Are you doing gift bags? If yes, how many? Are you doing door prizes or a raffle? Does your event include an auction (silent, or otherwise)? Etc.